Today I read of a list of the top 12+ (I won’t give THEIR specific number out) Personal Skills desired by businesses. Because I have done over 125 analyses since 1982 that generated just such lists I was wondering how theirs compared to mine. And I wondered where their list came from. So after a click or two I was perusing their list. 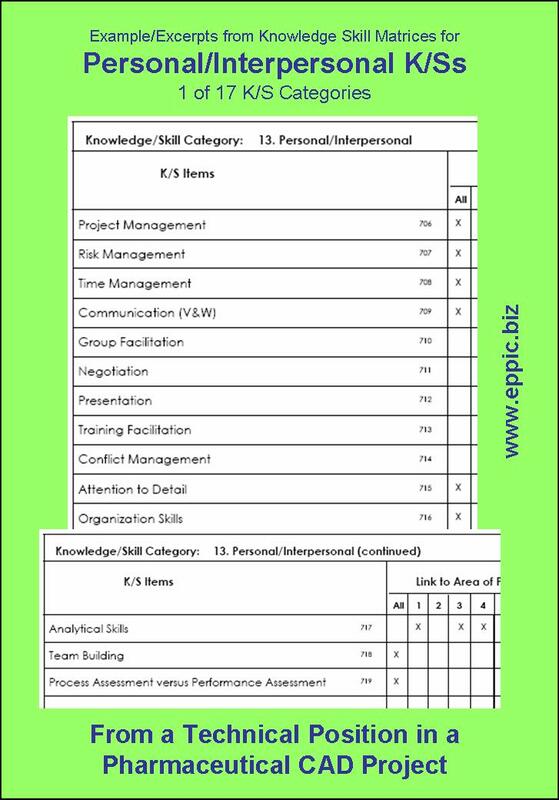 That caused me to go find my collection of some of those 125 sets of analysis data to see how my list of Personal -and Interpersonal- SKILL items really compared to theirs. Theirs reminded me of the soft/squishy list of Competencies without any anchor to specific performance to make them more real…more as enablers than COMPETENCIES. I don’t have one list…although I could sort through these and create a common list…and have done so in the past to create a starter list…a straw-dog-model IF YOU WILL. But I always prefer that my Analysis Team generate their own list w/o any prompting. 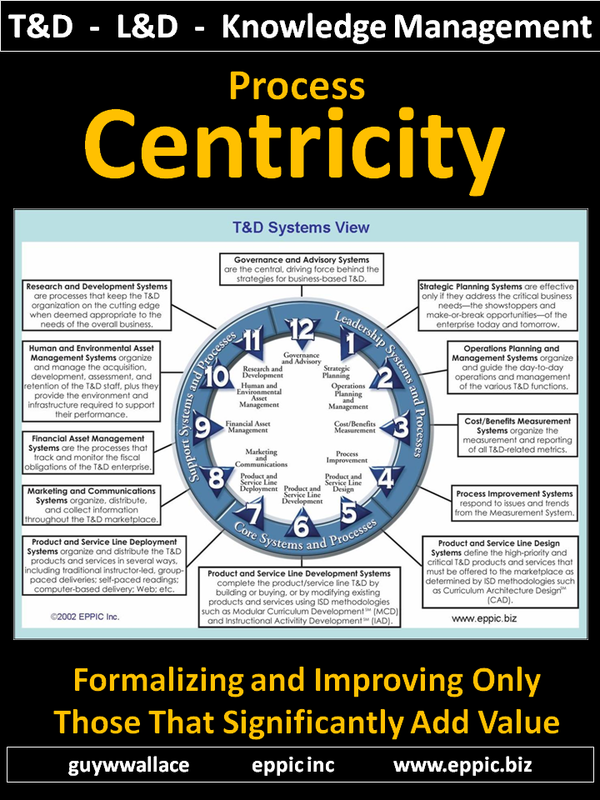 For one, that activity is typically near the end of a long-long-long 2-4 day meeting, generating a consensus Performance Model and then using that to systematically derive enablers in 17 categories – and this category is 13 of 17. I know the group is usually near brain-dead about this time. It’s too easy for them at this point to look at someone elses list and say “yeah – that works for us too.” But then I don’t believe my data – for this portion anyway. 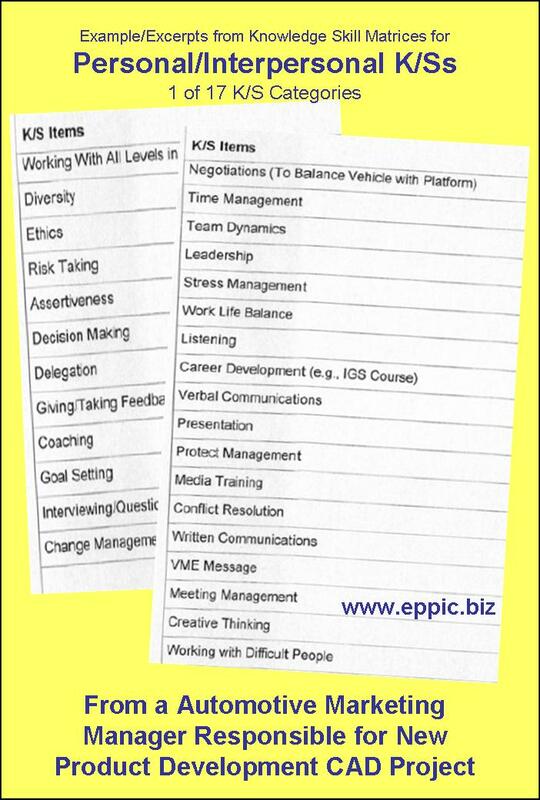 So here are 12 examples of lists of Personal/Interpersonal enablers…from real projects…where each list was systematically derived after the generation of a set of Performance Models that anchored these types of lists – there can be 16 other such lists if all 17 of my K/S Categories are used. 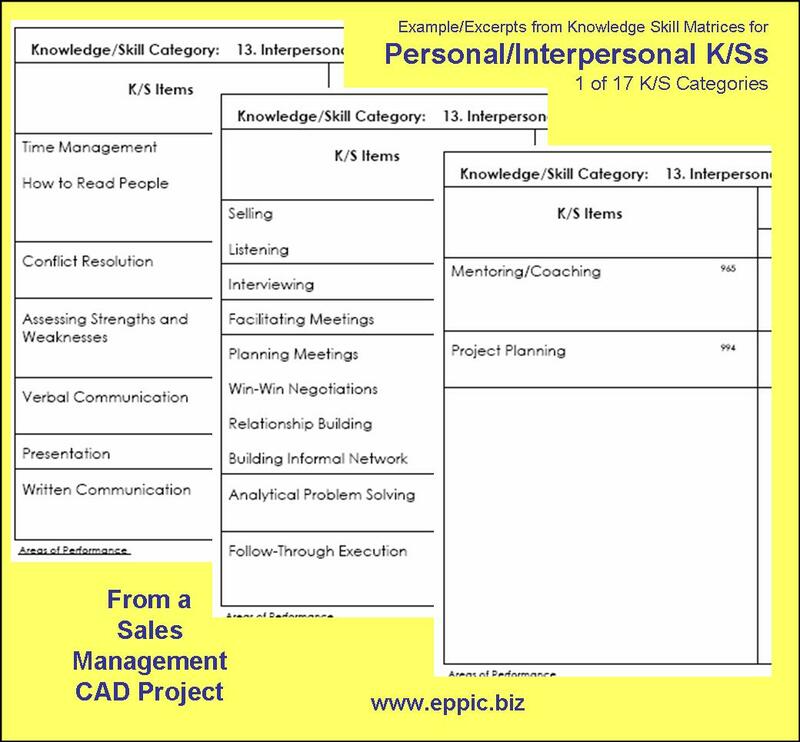 The goal of knowledge/skill analysis is to derive systematically the enabling knowledge/skill (K/S) items and document them on Knowledge/Skill Matrices. 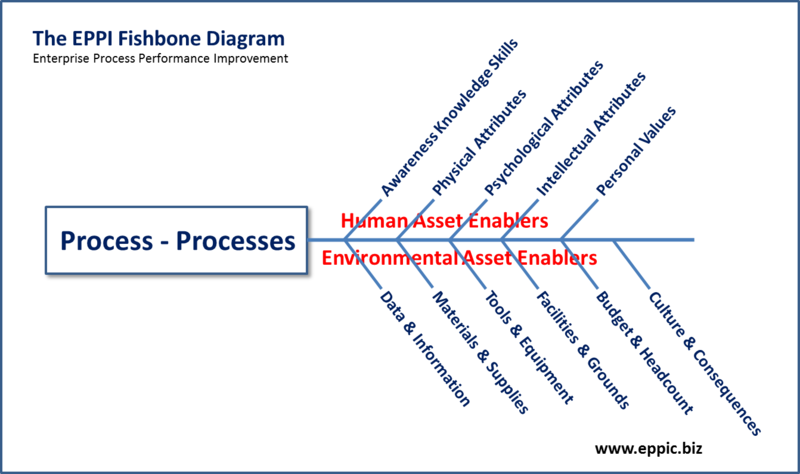 The items documented are the enablers that lead to the ideal, high-performance state. These are knowledge/skill items that are not just thought to be needed, but known to be needed. 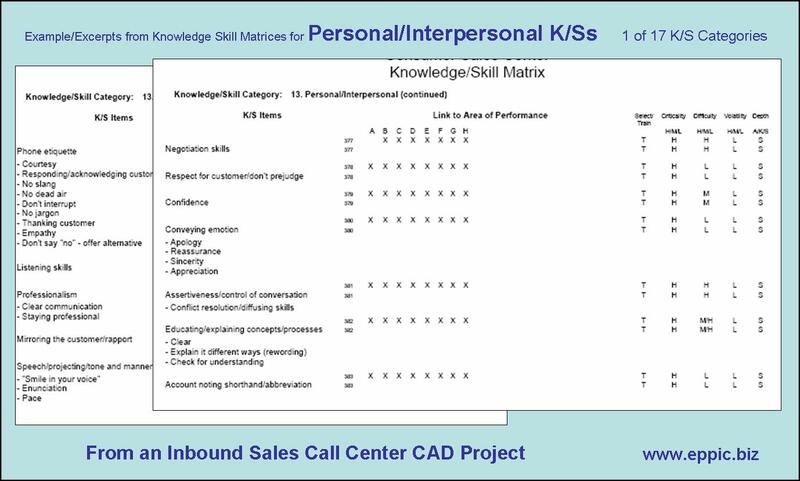 The Knowledge/Skill Matrices link each knowledge/skill item to the performance that it enables (as described in the Performance Model). 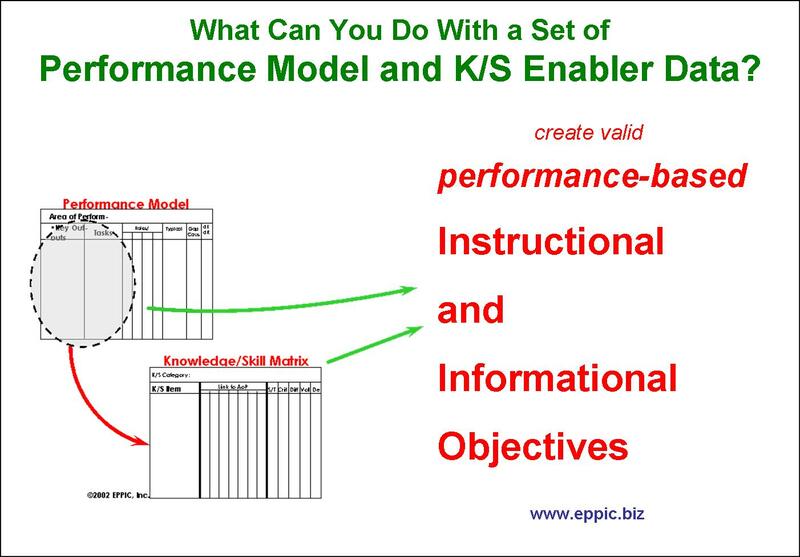 Thus, the Performance Model ensures that the discreet knowledge/skill enablers in the Knowledge/Skill Matrices are performance relevant. 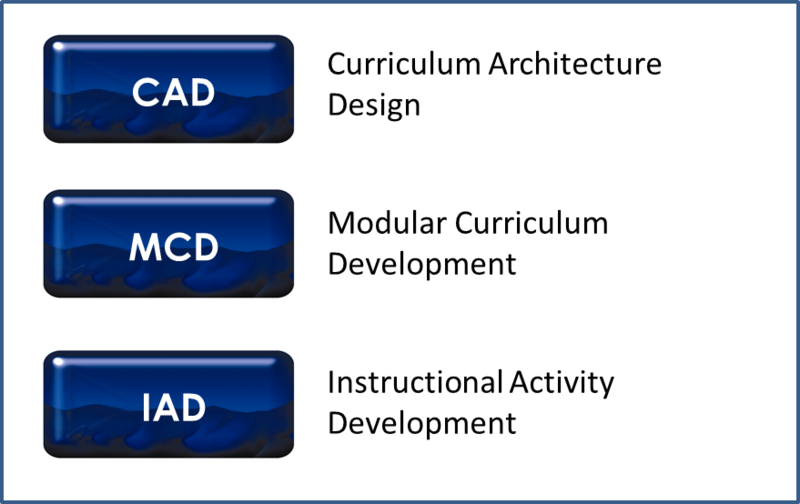 And, in turn, the performance orientation is passed on to the design work products for which the Knowledge/Skill Matrix is an input. 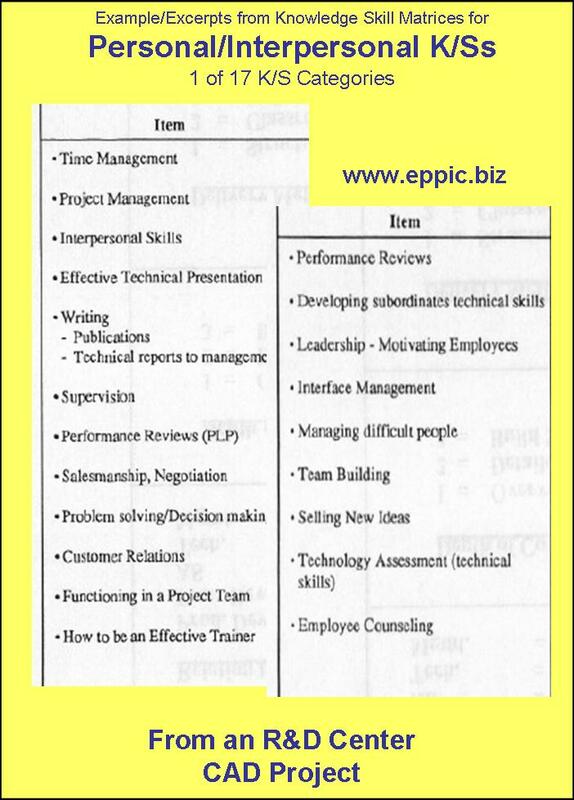 To develop a Knowledge/Skill Matrix, knowledge/skill items are identified and listed on a matrix chart. 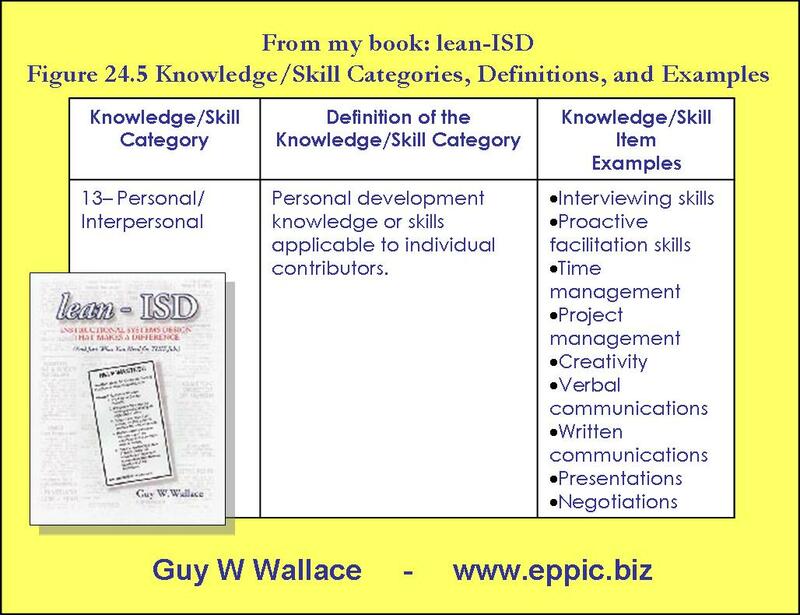 The process uses a list of predefined knowledge/skill categories, covered in chapter 24 of lean-ISD. 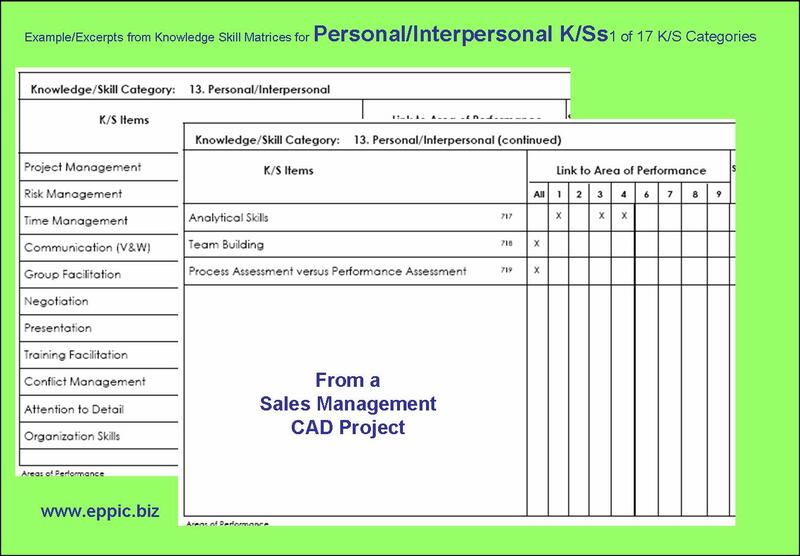 Additional data points are gathered for each knowledge/skill item on the matrix; these are captured in the columns on the right-hand side of the matrix. 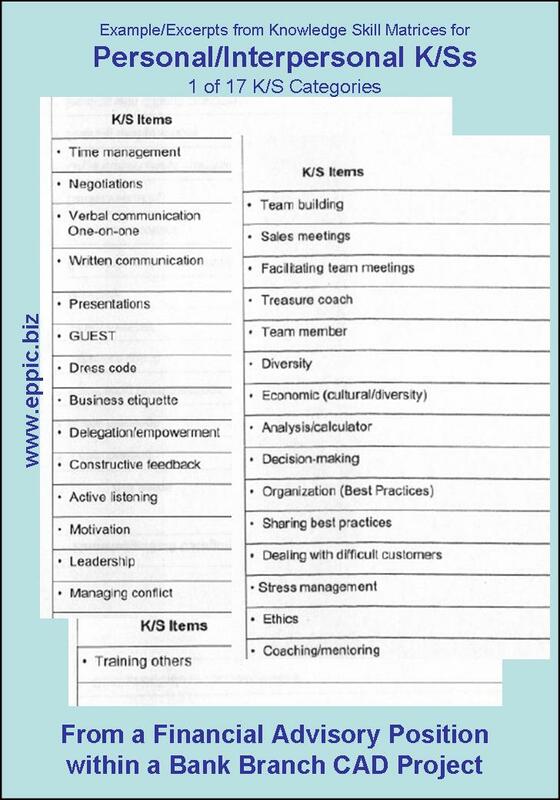 The data in the columns of the Knowledge/Skill Matrix is captured live by the facilitator during the same two- or three-day meeting in which the Performance Model is built. 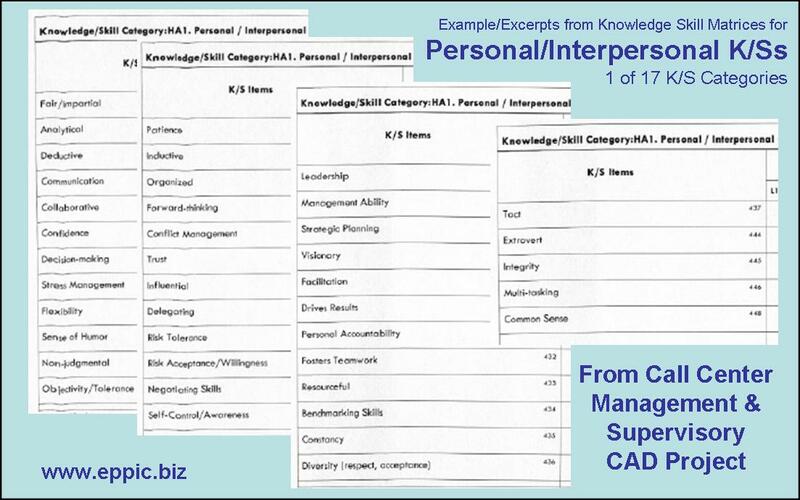 A list (typically customized for a project) of predefined knowledge/skill categories allows the analyst to control the brainstorming session. 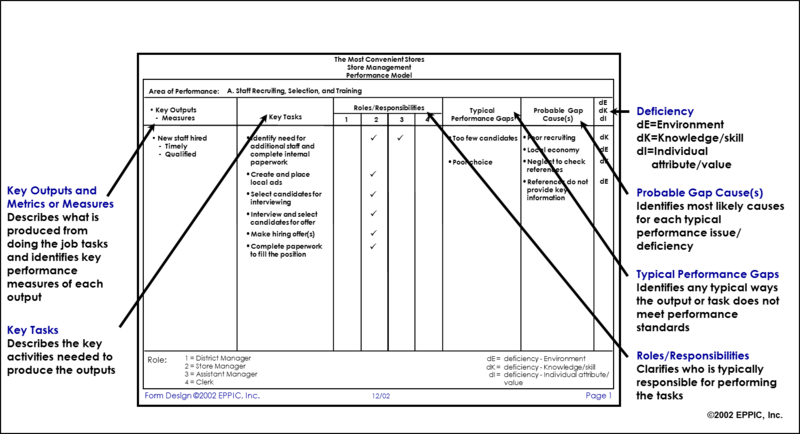 By structuring the brainstorming effort in this way, the analyst can keep individual knowledge/skill items closely linked to the performance … as described in the Performance Model. 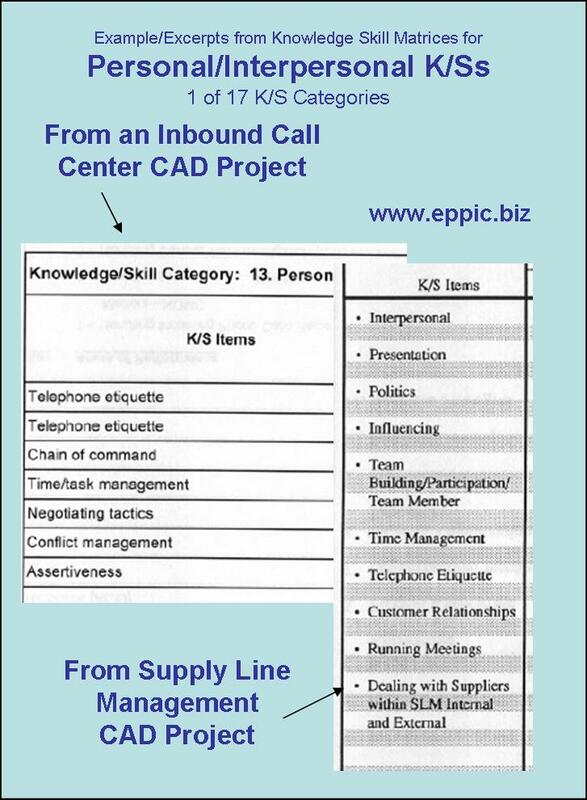 Some of our clients found it useful to link each knowledge/skill item to the role for each task. We usually link to the Area of Performance and will use the Design Team members’ knowledge of the more detailed linkages during the design process to accomplish what this more detailed effort would have accomplished earlier. In PACT, we like to defer the details until just when they are needed. The increased cycle time required to link at a lower level may add a day or two (depending on the amount of data generated during the analysis process). And that smells like analysis paralysis! We would go after the next level of detail…on those that survive the next step in the next step…DESIGN. And after Design we would get to the last level of detail in Development for those items that survived Design. 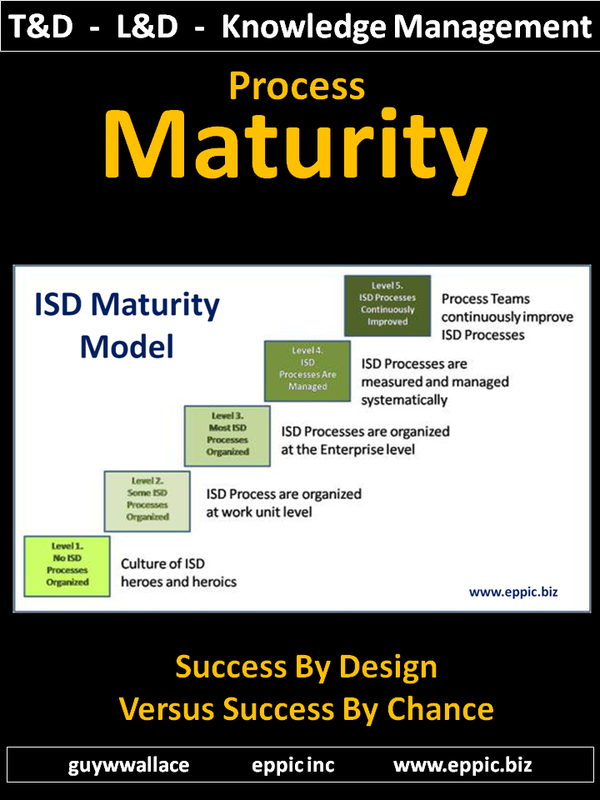 There are often items that fall off of the priority list the further you get into ISD…as not all enablers are equal in the impact capability to peak performance. The KS Matrices show that in the next columns that these KS Items “link” to – on the Matrices. 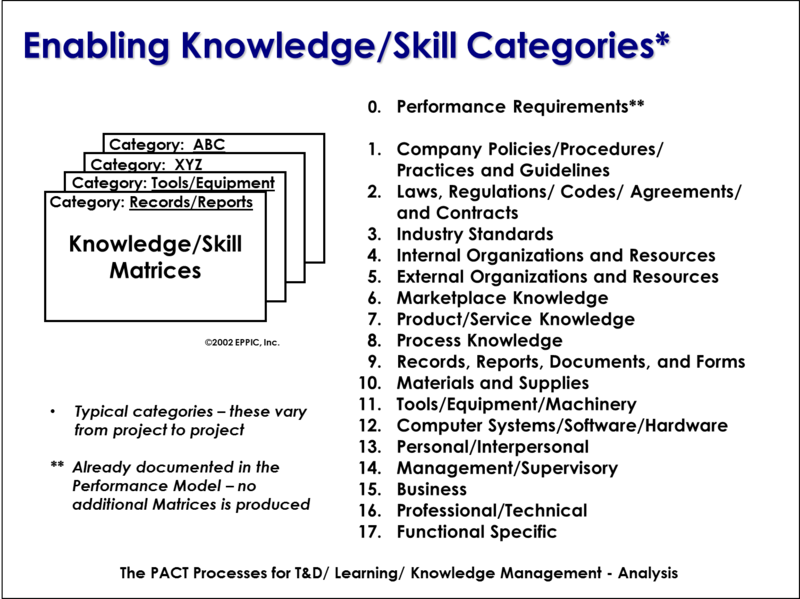 While many knowledge/skill items can be placed in multiple knowledge/skill categories, it’s preferable to put an item into the best category one time and one time only; this requires some arbitrary decision-making and consistent logic so that similar data falls into the same category. This is important for the reviewers’ sanity and also for the ease and integrity of the later design work. My Starter List of K/S Categories – Where did I get the starter list of knowledge/skill categories? 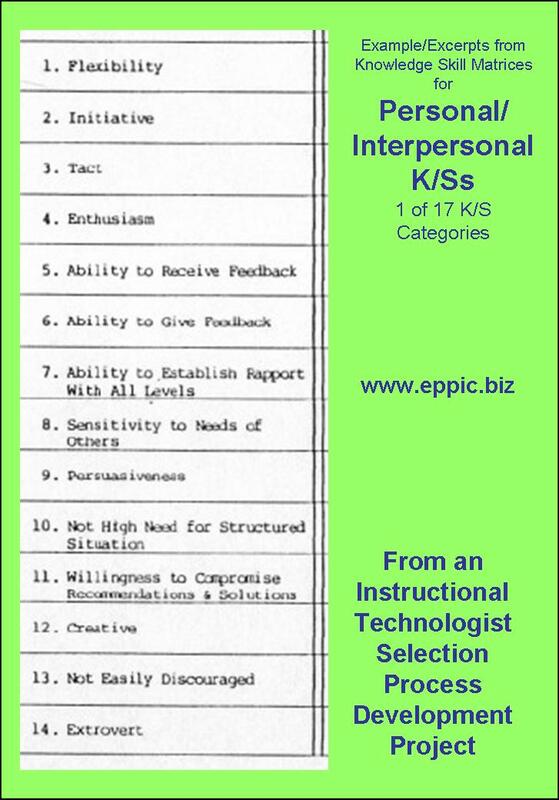 It was originally derived from the late Tom Gilbert’s knowledge map and has evolved to its current form over many, many projects in my first few years as an external ISD/HPT consultant, beginning in 1982. I had settled on this particular list by the mid-to-late 1980s. Next I had to get everyone in my firm, doing ISD work for our clients, on the same page so that one project to the next we could more easily find the potential for REUSE. And avoid creating inadvertent redundancy in Design and then Development.Leading to additional, unnecessary redundant costs.WARNING- Watch out for “WORD PROBLEMS” – and by that I mean where one word has different meanings…AND…where several words have the same meaning…to your Analysis Team and all of the learners/Performers that they represent!!! 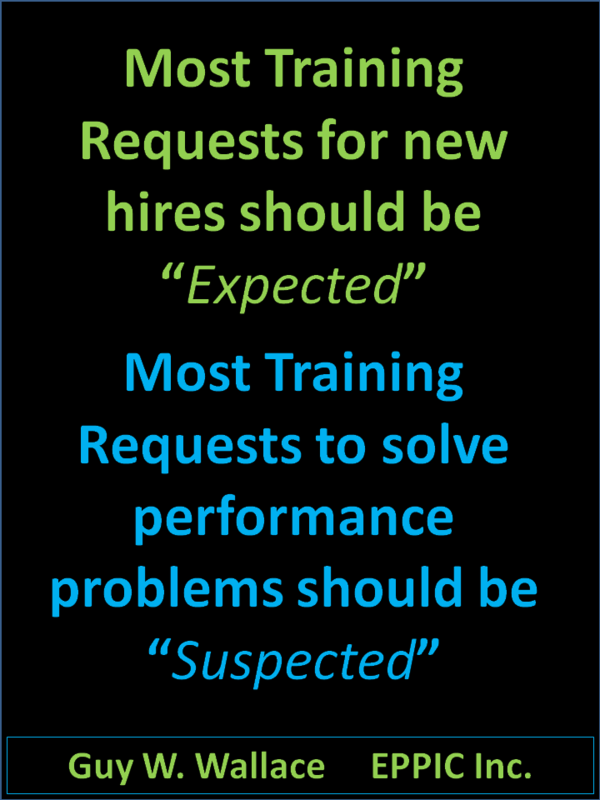 Lists such as these always have “face validity.” They look good/sound reasonable.But what can you do with them in a Training/Learning context – without the understanding of their performance context? 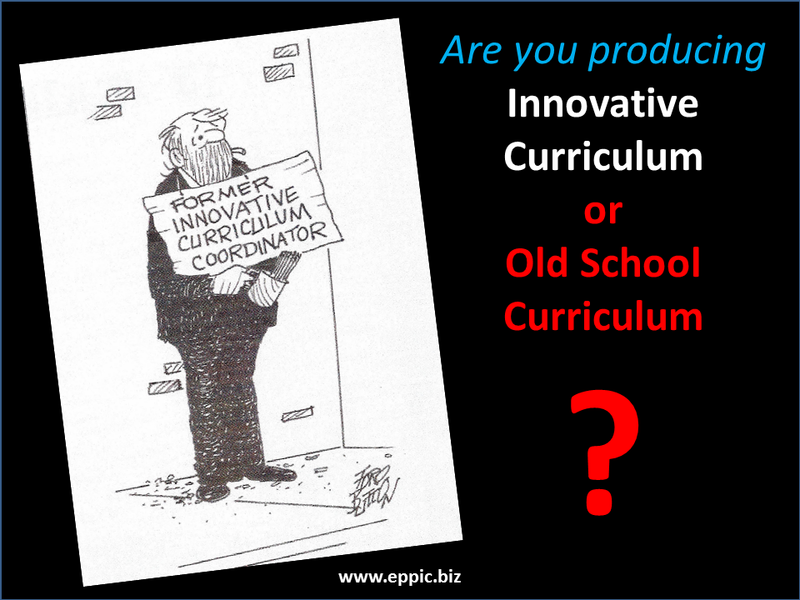 Or worse – their performance contexts!?! 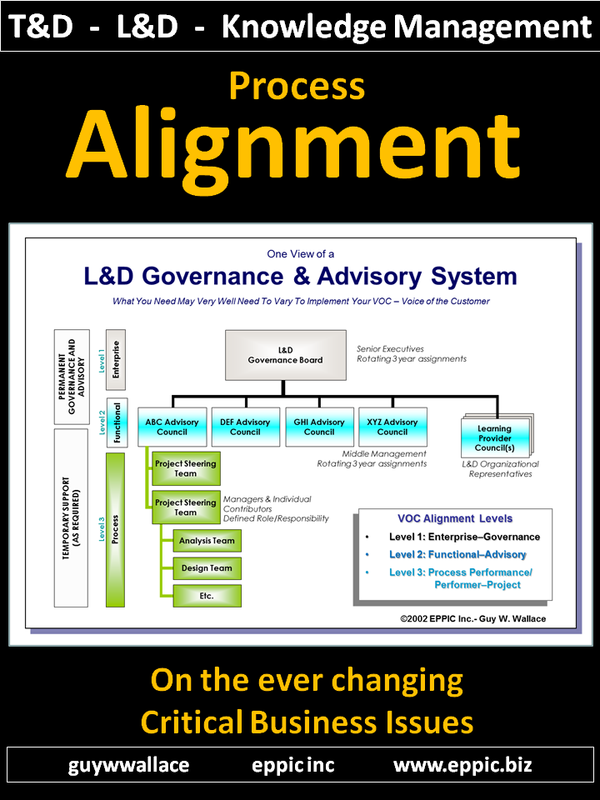 Not much value potential – in terms of impacting the learner/Performers’ Performance Competence – without understanding the role of the enabler within the specific (or very close) performance requirements. At least for most learners/Performers! Is Time Management the same for the sales rep on the road, the sales manager back in the office or the head of Marketing dealing with International customers and partners in every time zone? 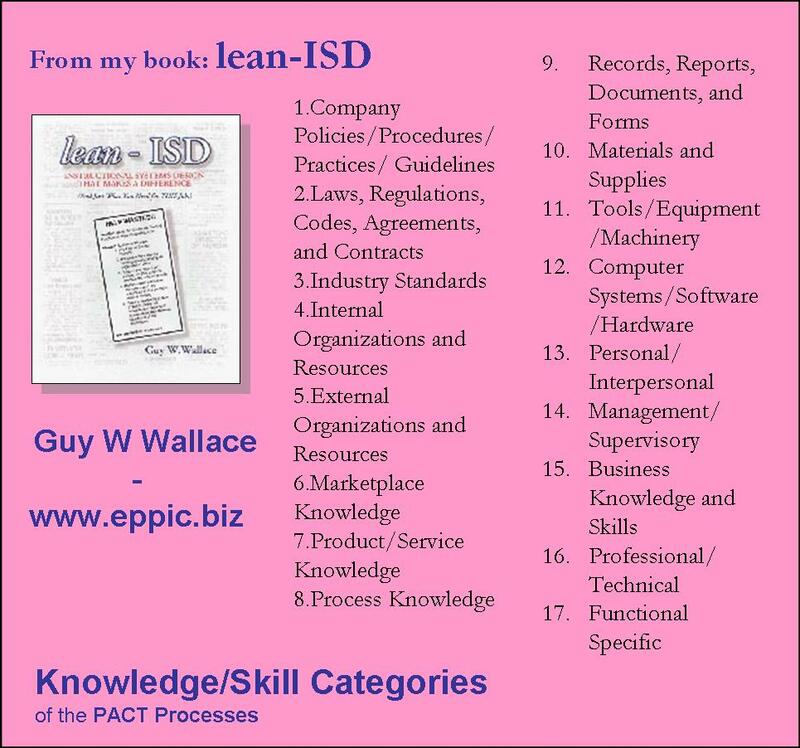 And I offer very formal, semi-formal and less formal workshops and coaching session for PACT Performance Analysts! See more about that under the Service Tab at my web site!